Amino acids are biologically important organic compounds composed of amine (-NH2) and carboxylic acid (-COOH) functional groups, along with a side-chain specific to each amino acid. 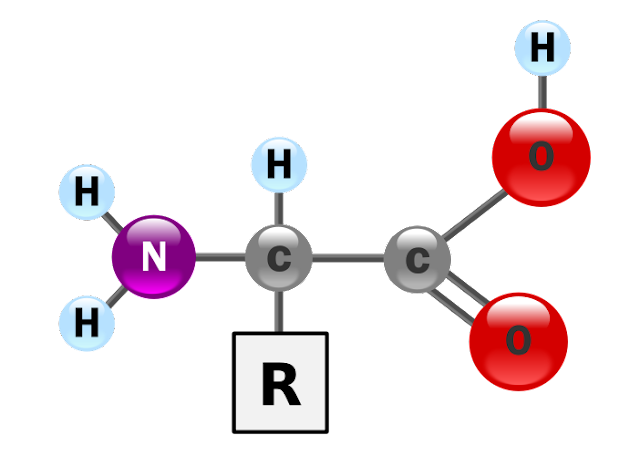 The key elements of an amino acid are carbon, hydrogen, oxygen, and nitrogen, though other elements are found in the side-chains of certain amino acids. There are about 500 amino acids. Of these 22 are standard amino acids. Nine of the 22 standard amino acids are called “essential” for humans because they cannot be created from other compounds by the human body and, so, must be taken in as food.